Whenever I am down, feeling stressed or tired, aside from getting some rest I turn to food. My ultimate comfort food by the way is pizza. 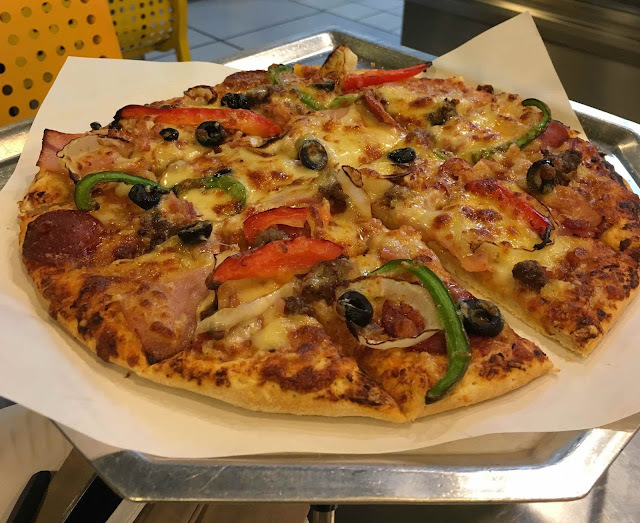 New York's Finest pizza from Yellow Cab to be exact. This week was just one of those days where I definitely needed this. I just felt like there's too much going on and my mind just can't get a break. So, we grabbed that whole pizza tonight. My friends call it stress eating and warned me about unhealthy eating. But, guess what? Times like these, I just don't care. Eat away, self. You definitely need it. Tomorrow's going to be another weekend packed with things to do.